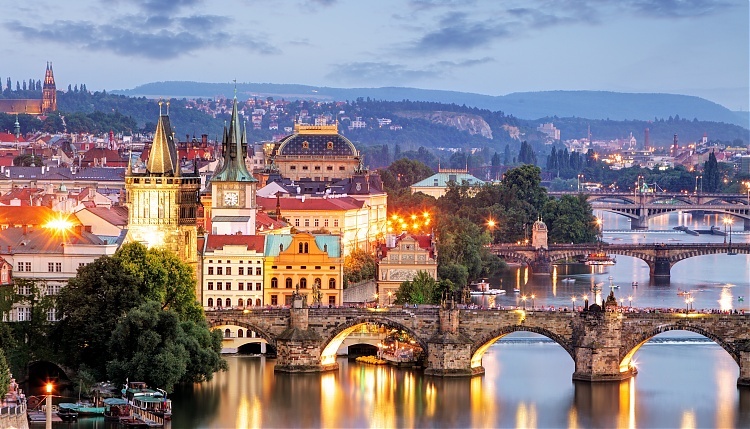 The new Global Champions Playoffs will be staged in the magical Czech capital Prague, one of the world’s most beautiful cities and a UNESCO World Heritage site, promising unforgettable excitement for millions of equestrian fans worldwide. The introduction of the play offs in 2018 will see a roller-coaster of eliminations, upsets and glory as teams battle through the quarter final, semi-final and final stages with the winning team alone taking home €3 million - part of the historic prize purse for a single event in show jumping. Only the 16 best teams from the 2018 season will qualify for a place at the play offs and the top four teams will automatically be fast tracked directly to the play off semi finals. Prague, known as “the City of a hundred spires”, will stage the play offs over four days at the O2 arena with top-level sport and great entertainment for approximately 14,000 spectators. The event will take place in the run up to Christmas when the fairytale city will have a special festive atmosphere where visitors can enjoy the contrast of Prague’s historic Baroque architecture and the famous Castle and the cool modern neighbourhoods and art and design zones. Team tactics and strategic changes to riders and horses during the 2017 GCL competitions have already added fresh energy to the sport. The easy-to-follow new GC Playoffs will produce more entertaining stats and graphics for fans with expert commentary for digital viewers and new technical innovations to enhance the fan experience.